Pre-trial release and posting bail are two ways that defendants are released from custody before their criminal trials, but the procedures are different. Posting bail in Upper Marlboro involves a financial commitment from the defendant’s representative, while pre-trial release does not. Pre-trial release involves releasing a defendant without the need for a bond or any other type of financial arrangement. There are a number of conditions placed on the defendant with pre-trial release, and if those conditions are violated, the defendant has to return to jail. With a bail bond, the defendant is released in exchange for a financial guarantee that he or she will show up for his or her court dates. Failing to do so will result in the bail being revoked and the defendant returning to jail. Conditions for bail and pre-trial release vary depending on the type of charge and the criminal history of the defendant. The decision to arrange for a bail bond for a loved one who has been arrested is not something to take lightly. If the person for whom you are posting bail does not show up for a court date, you could be responsible for the entire amount of the bail or could lose any property you used as collateral. If you are concerned about the defendant showing up for court and regret your decision to sign for a bail bond in Upper Marlboro , you may wonder what your rights are to revoke your agreement. Here is what you need to know. 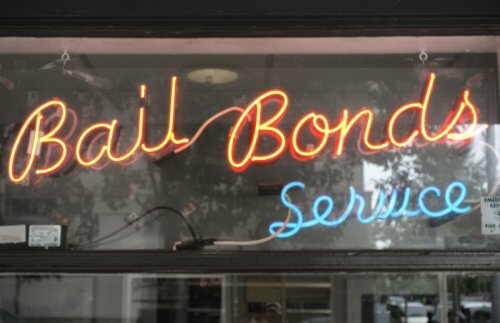 Bail bonds: Who is who? There are multiple parties involved in a bail bond agreement. The defendant is the person who has been charged with a crime. The bail bond agent is the representative of the bond company who makes the agreement with the court to be financially responsible if the defendant does not show up for a court date. The bail bond agent has an agreement with an insurance company that will pay the court if the defendant skips a court date. The indemnitor—sometimes called the co-signer—is the person who enters into an agreement with the bail bond agent on behalf of the defendant. 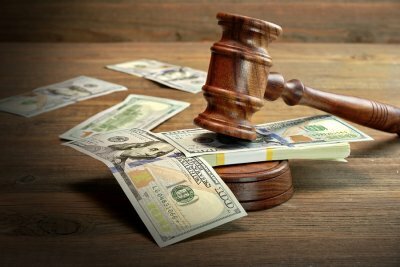 While the bail bond’s insurance policy pays the court if a defendant does not go to court, the indemnitor will be held responsible for paying the full amount of the bail to the bail company in the event that the defendant misses a trial date. The indemnitor is also financially responsible for paying the bail bond company’s fees for the bond, regardless of any side agreement the indemnitor may have with the defendant to be reimbursed. How can an indemnitor revoke a bail bond? If your agreement with the bail bond agent allows it, you can revoke your agreement and withdraw your responsibility for the bail bond. You can do so if you believe the defendant plans to skip a court date or is not following the conditions of the bail. If you want to revoke a bond, contact the agent as soon as possible. The agent will inform the court, and the defendant will be detained until he or she can arrange bail by another means. 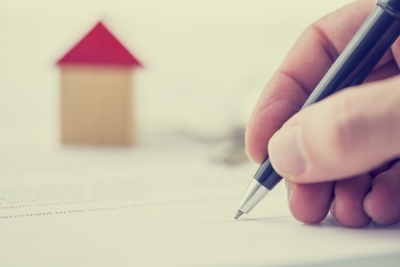 There may be fees associated with revoking a bond, which the agent will explain to you. The First Amendment gives you the right to assemble and take photos and videos in public spaces, such as during a protest. If you are arrested during a protest, be polite, don’t resist, and when you can, get information about posting bail in Upper Marlboro. This video explains your rights for protest, photography, and video in public spaces and what to do if you are arrested. If your rights are violated when you are protesting, after posting bail, you can work with an attorney to argue that you were wrongfully detained and are not guilty of a crime. Keep in mind that you have the right to photograph and film your encounters with officers and that they may not delete any of your photos or footage for any reason. Property bonds are one way of posting bail that involves using your property as collateral. There are risks involved in using property bonds rather than working with a bail bond agent in Upper Marlboro , including losing your property. Before you consider posting bail with a property bond, it’s important to fully understand the agreement you are entering into with the court. With a property bond, you provide the court with property collateral—often, your home—as a financial guarantee that the defendant will show up for all of his or her court dates. Property bonds are typically reserved for cases with high bail amounts, usually over $100,000. Depending on where you live and the requirements of the court, there may be rules regarding what kind of property can be used for bail and that all taxes on the property are paid in full. What are the risks of using property bonds? The biggest risk of a property bond is that you could potentially lose ownership. If the defendant does not show up for every scheduled court appearance, the court may seize the property. This risk is part of the reason that property bonds are not a common choice for posting bail and why it is only used in circumstances when bail amounts are very high. What are the alternatives for posting bail? Instead of property bonds, many people who need to post bail opt for use a surety bond obtained through a bail bond agent. The agent guarantees to the court that the defendant will be present for scheduled court dates and obtains an insurance policy that will pay the court if the defendant does not show up. For this service, the bail bond agent charges the person who arranged the bail a fee based on a percentage of the bail amount. Typically, the fees can be spread out in a payment plan to make even fees for large bail amounts manageable. If immigration agents come to your door, knowing your rights can protect you from unlawful imprisonment and removal. If immigration agents take you into custody, an immigration bond in Upper Marlboro can help you get back to your family. Watch this video to learn what to do if immigration agents come to your home. You don’t have to let them enter unless they have a warrant signed by a judge. Ask them to slide the warrant under your door for verification. If they enter by force, remain calm and state that you don’t authorize their entry and that you would like a lawyer. A lawyer will help your family arrange an immigration bond to get you out of custody. When Is Bail Considered Excessive? 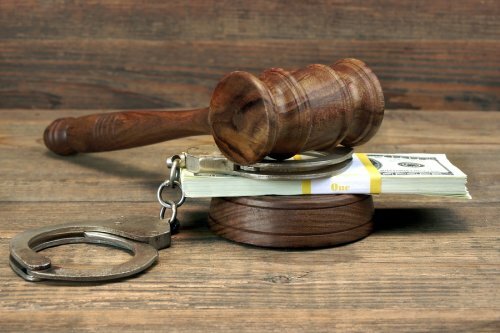 Many people have heard the term “excessive bail,” but what does it really mean? Bail is designed to encourage defendants to show up to their court dates without having to keep them incarcerated until their trial. After posting bail in Upper Marlboro , if you don’t show up for court, you could be responsible for the entire amount of the bail, plus fines and interest. Although bail may be expensive, that alone does not make it excessive. Excessive bail is bail that is much higher than is usually imposed for a specific charge or that is much more than is required to incentivize a defendant to appear in court. Bail should not be used to punish someone who is accused of a crime but rather to protect the interests of the community. An exception to excessive bail is when bail is denied completely because of the seriousness of the charges. Denying bail is legally permitted. If you believe that your bail is excessive, you can file an appeal with the courts to request that it be lowered. After posting bail in Upper Marlboro , the last thing you want to do is violate the terms of your bail and return to prison. Violating your bail could not only lead to you being re-incarcerated until your trial date, but it could also have serious financial consequences for the person who was responsible for posting your bail. Avoid these complications and preserve your freedom when you’re out on bail by staying away from these mistakes. Mistake: You don’t understand your restrictions. Most people who are out on bail are subject to restrictions imposed by the court. Take the time to review all the restrictions on bail with your bail bond agent or attorney. If you don’t have complete knowledge of the restrictions, you could inadvertently violate them, and the court is not likely to be understanding of your error. If you’re not sure if you’re allowed to do something at any point when you’re out on bail, consult with your attorney or bail bond agent to verify. Mistake: You spend time with people who could cause you to violate your bail. If your bail comes with restrictions about drinking or using drugs, avoid hanging out with people who engage in those activities and will tempt you to become involved. If you have friends who are involved in criminal activity, stay away from them so that you are not caught up in additional charges while out on bail. Mistake: You leave the area without permission. Nearly everyone on bail has movement restrictions that prevent him or her from leaving a certain geographic radius. Although it may seem like you can leave that area without attracting the attention of the court, doing so is extremely risky. If you are caught, you will almost certainly be seen as a flight risk, and your bail will be revoked. If you need to leave the area for any reason, you will need to get permission from the court so that you don’t violate your bail. The right to peaceful demonstration is a cornerstone of American culture, but that doesn’t mean that protesters are free from the threat of police interactions and arrests. If you do encounter the police during a protest, there are steps you can take to deescalate the interaction and avoid arrest. If you are arrested in Upper Marlboro during a protest, a bail bond agent can help you secure your release. Reduce the chances of an arrest with this advice for interacting with the police. Demonstrations often cause tensions to run high, and if you believe the police are violating your rights, then it’s natural to want to argue. The best strategy, however, is to stay calm if you are confronted by an officer. Answer the officer’s questions and ask if you are free to leave. If the officer says you are, calmly remove yourself from the situation. 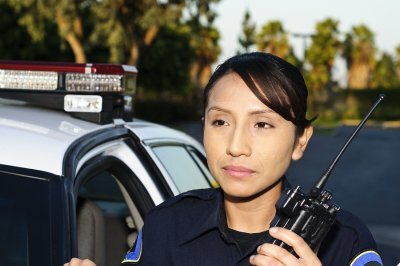 Even if you think that your rights were being violated by the officer, try to get away from the situation and then confront any concerns you have about the interaction later. If you are placed under arrest, don’t resist. Doing so could lead to additional charges, even if you think you are being placed under arrest inappropriately. You can ask what the charges are, but don’t discuss anything else with the police without an attorney. When the police allow you to make a phone call, phone someone who can help you with posting bail, so you get out of jail while the case is being decided. If your rights were violated by the police at a demonstration, file a complaint about the incident. Try to write down as much as you can about the interaction when it occurs and to take photos of any injuries you may have to include with your complaint. Remember that the time to make a complaint is not while the incident is occurring or when you are under arrest. Wait until after the demonstration and after posting bail, if you were arrested, so that you don’t risk further escalating the incident. When you work with a bail bond agent in Upper Marlboro to get a loved one out of jail, cost may be one of your primary concerns. It’s important to understand the costs of posting bail to avoid any surprises in the future. Although there is not a set cost for posting bail, you can understand which expenses you may face by understanding the process. The fee for posting bail is usually a percentage of the total bail amount. The percentage depends on the limits set by state laws where you live. You will also be responsible for any expenses the bail bond agent incurs as part of the case, such as travel expenses and administrative costs. In addition to the fee, you may be asked to provide collateral that will be seized if your loved one fails to show up for any court dates. Payment plans may be available to help you pay for the bail bond fees. After the court has set a bail amount, there are several options for paying	the bail and getting the defendant out of jail. After weighing up	bail bond options in Upper Marlboro, most people opt for a surety bond, which is typically the most affordable	method. If you are wondering how to bail someone out of jail, here is	a closer look at your payment options. To post a cash bail, you must provide the entire bail amount to the court. The court will then retain the cash until the case has been concluded. If the defendant fails to show up for any scheduled court date, the cash	bail will not be repaid. If the defendant does comply with all terms of	the bail, it may be possible to get the cash bail back at the end of the	case. If the defendant is found guilty, however, state law may allow the	court to retain the cash bail. Because of the expense of this kind of	bail and the high risk of losing the money, many people avoid cash bails	except for very small amounts. Property bonds are relatively uncommon and are only used in cases of very	high bail amounts. With a property bond, property rather than cash is	held by the court. For instance, you may use your house to secure a high	bail amount for a loved one. If the defendant skips a court date, the	court can then seize your house to satisfy the bail amount. Surety bonds are the most common bail bond option people choose. Surety bonds are paid to the court on your behalf by a bail bond agent, who pays a portion of the bail and makes an agreement with the court to pay the rest of the amount if the defendant does not go to court. There is a fee for the service, and if the defendant does not show up in court, the person who made the bail bond agreement is responsible for paying the agent the total amount of the bail.